Beware what’s in your favorite coffee drink! Here we are in the midst of another season filled with sweet temptations. As spring slowly starts to make its appearance here in New York City, it seems like everyone is rushing grab all the sunshine they can find. This may involve adding bright-colored workout wear and sundresses to the wardrobe or shaking off the boots and slipping into cute wedges and sandals. There also appears to be a surge in sales of all those refreshing drinks that make you feel like you’re sipping on sunshine. The problem is those sips are often loaded with more sugar than anyone needs in one day, let alone one serving. On this Motivation Monday, I offer an important reminder that sugar doesn’t just live inside candy wrappers, cupcake shops and wine bottles. There’s also a ton of it lurking in coffee houses and smoothie bars in the form of frozen drinks that come in more flavors than nature ever intended. The short-lived run of the “Unicorn Frappucino”at Starbucks was the latest example of what’s behind every sip of so many frosty temptations. One grande whipped-cream sweet-and-sour concoction packed 410 calories; 16 grams of fat; 62 grams of carbs and 59 grams of sugar. I found it interesting the color-changing drink contained zero caffeine. (Then again, with all that sugar, who needed another jolt of energy?) Luckily by the time you’re reading this post, these drinks only continue to live on people’s Instagram feeds. Please know, I’m not picking on Starbucks. One of my favorite treats at this time of year is a nonfat green tea Frappucino, and I’ve been known to enjoy a skinny mocha Frappucino once in awhile, too. The key is not to use a frosty coffee drink as a meal substitute. The nutritional value is next to null, and you’re almost always faced with the dreaded aftermath: the sugar crash. Of course, some crashes are worse than others. With Easter eight days behind us, I think I’ve finally recovered from a full-blown sugar hangover. I cut out a lot of sweet treats during Lent but then went totally overboard on Easter Sunday. It started with several bowls of Cocoa Puffs before Church and by the end of the day, in addition to some great wine and pasta, I’d also devoured some homemade cake, countless chocolate eggs and a sleeve of chocolate chip cookies. So I basically made up for 40 days worth of sugar intake – and then some. By the next day, my body was in serious sugar shock. I had a queasy stomach, a headache I just couldn’t shake and overall, I felt like a sluggish mess. When you get in the habit of eating whole, healthy foods, it’s amazing how the body reacts when you go off the deep end. Hating how your body feels from the damage is a great trigger for getting back on track with a diet of fruits, veggies, protein and whole grains while keeping the alcohol and dessert intake at moderate levels. As my repeat readers know, I’d never advocate denying yourself the things you enjoy. Whether it’s a bacon burger with a side of cheese fries; pepperoni pizza and beer or even a couple of those large, frosty coffee drinks, we all deserve to splurge once in awhile. They key is to make sure those treats stay in their own “special occasion” category. The key is to keep it all in check, and know one good workout and one day of healthy eating is all you need to get right back on track with your goals to have fun, be fit and feel fabulous! Don’t Let Frosty Temptations Get the Best of You! The calendar says we’re still six days away from the official start of summer. However, here in New York City, signs of the season popped up weeks ago. Flip flops and sundresses are out in full force. 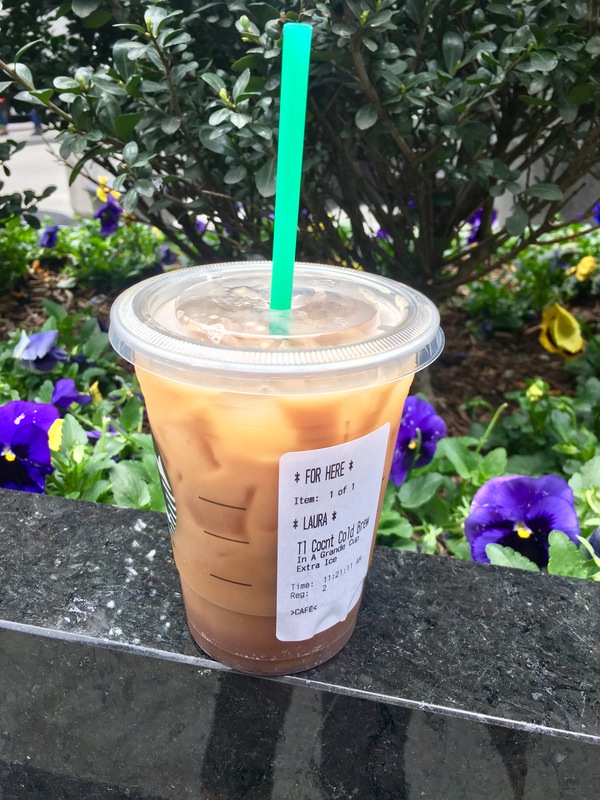 It also seems everywhere I look, people are carrying those whipped-cream-covered coffee drinks that serve as summertime’s keep-us-cool beverages of choice. So on this Motivation Monday, I thought I’d remind everyone to keep the frosty favorites on the treat list. I know, nothing offers a little lift on a hot, humid day like an ice-infused combination of coffee and chocolate or some other sweet favor. It’s just important to remember those kicks can pack quite a punch when it comes to calories, fat and sugar. Coolatta with cream: 210 calories; 23 grams of fat; 49 grams of carbs and 43 grams of sugar. As you repeat readers know, I would never tell anyone not to enjoy a treat once in awhile. However, it’s a good time of year to pay attention to what’s on your daily menu. 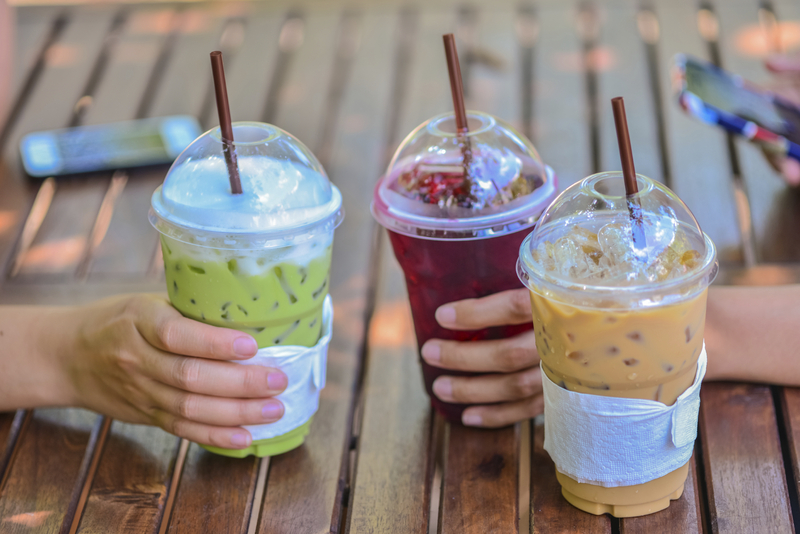 If a frozen coffee beverage becomes a routine extra at breakfast, lunch or snack time, remember, those are extra calories you’re adding to the entire day. Also, substituting real food with a large or extra-large frozen anything is never a good idea. Your body needs the proper fuel to keep running. And when you come down from your frozen-sugar buzz, you’ll probably still be hungry. Yes, treats are a fun part of life. We just need to keep them in check so that we take the best care of our bodies. If you’ve already taken that positive step of adding exercise to your daily routine, you will only reap extra benefits by eating wholesome, healthy foods. Remember, you really are what you eat – and during these hot, steamy months -that includes what you drink! Keep track of those treats and you’ll be able to stay the course on your journey to have fun, be fit and feel fabulous!